It wasn’t that long ago that web-savvy marketers were touting the advances in technology that allowed anyone to build a website, publish a blog, or embark on a social media campaign. The advent of mobile platforms has rendered all of those tools passé. We are now a mobile society and the proliferation of smartphones and tablets has given rise to a new paradigm in digital marketing: the mobile app. With the rapid global penetration of smartphones and tablets and the increased data speed of 4G networks, mobile applications are riding a wave of explosive growth. Leading companies are focusing on the development and distribution of dynamic mobile apps, reaching consumers and potential consumers on the one device that is never far from reach. What about small businesses? The independent artist, the mom-and-pop store, and the local pizza parlor don’t have the financial or technological resources to develop custom apps, which is why small business was the inspiration for the growth of DIY app building tools. The idea of putting everyone on a level playing field is central to the American Dream; it is an old idea being applied to a new technology. Point-and-click interfaces like the one Intuit developed for web-building or Blogger created for publishing have paved the way for mobile app development for all, making it possible for small business to get involved in something that previously was left to developers and now at an affordable cost. Small businesses now have the opportunity to create, edit, and publish apps directly from a smart phone or tablet. 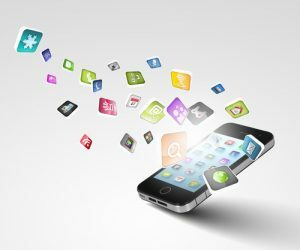 With these advances, the implications of the development of DIY app building tools will soon out-pace the impact site-building tools have had in the digital marketplace. Taking a closer look at a niche app-building market shows the unlimited potential of this new paradigm. For example, independent bands are becoming more and more adept at building their databases. DIY app builders fit in seamlessly with DIY artists. Thanks to these dynamic new app building tools, an independent band or artist can customize a mobile app that includes a band bio, schedule, photos, videos, and complete discography. New releases can be distributed and sold directly to the consumer via the mobile app. Performances can announced through push notifications and streamed live right to the mobile platform. The DIY app builder has given that DIY band a mobile outlet, a growth model, and direct-to-consumer business opportunity all while bypassing the cost of a developer. The majority of DIY app builders fall into the small business or independent artist categories. Hobbyists and enthusiasts are getting on board. Parents are putting their kids’ sports schedules on custom mobile apps. Where online platforms once reigned supreme for business-to-consumer communication, businesses are quickly learning that mobile is the new and more prominent channel through which to make a connection with consumers. With an empowered population participating in the app building industry, this movement has the feel of a revolution. The DIY app builder gives that user the tools to bring the idea to fruition, to keep the evolution and the revolution moving forward. 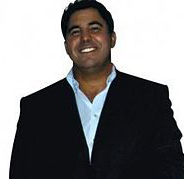 Scott Hirsch is the founder and CEO of Appsbar and a noted entrepreneur and expert in mobile marketing. Scott pioneered many of the most utilized concepts in online media including opt-in data collection, email to postal data appending, affiliate marketing, web syndication, internet reality shows and internet pay per view. In 2011, Scott launched Appsbar, the first cost-free tool for anyone of any skill level with a limited budget to develop professional and personalized apps that appear in the largest online marketplaces including iTunes and Android Market. Today, Appsbar boasts a community of over 500,000 active users collectively achieving approximately 11,000,000 downloads. Scott is also an accomplished professional boxing manager and promoter, currently managing five time world champion and IBF #2 ranked middleweight contender, Corey Spinks.